History's immortals sometimes offer a glimpse of their greatness in events other than those that granted them immortality. 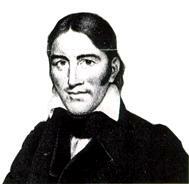 Tennessee militia colonel David Crockett, perhaps best known for his role in the 1836 defense of the Alamo, also served three terms in the United States Congress between 1827 and 1835. 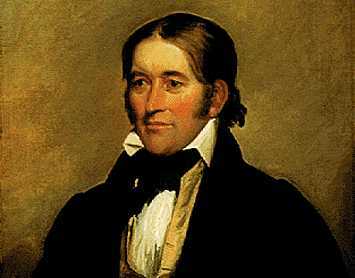 Nationally known during his lifetime as a political representative of the frontier, Crockett apparently came by that reputation honestly, inasmuch as he was not above listening to his constituents. The following excerpt from an 1884 biography by Edward Sylvester Ellis, The Life of Colonel David Crockett, if accurate, might reveal how his own rural electorate taught him the importance of adhering to the Constitution and the perils of ignoring its restrictions. "Mr. Speaker -- I have as much respect for the memory of the deceased, and as much sympathy for the sufferings of the living, if suffering there be, as any man in this House, but we must not permit our respect for the dead or our sympathy for a part of the living to lead us into an act of injustice to the balance of the living. I will not go into an argument to prove that Congress has no power to appropriate this money as an act of charity. Every member upon this floor knows it. We have the right, as individuals, to give away as much of our own money as we please in charity; but as members of Congress we have no right so to appropriate a dollar of the public money. Some eloquent appeals have been made to us upon the ground that it is a debt due the deceased. Mr. Speaker, the deceased lived long after the close of the war; he was in office to the day of his death, and I have never heard that the government was in arrears to him. This government can owe no debts but for services rendered, and at a stipulated price. If it is a debt, how much is it? Has it been audited, and the amount due ascertained? If it is a debt, this is not the place to present it for payment, or to have its merits examined. If it is a debt, we owe more than we can ever hope to pay, for we owe the widow of every soldier who fought in the War of 1812 precisely the same amount. There is a woman in my neighborhood, the widow of as gallant a man as ever shouldered a musket. He fell in battle. She is as good in every respect as this lady, and is as poor. She is earning her daily bread by her daily labor; but if I were to introduce a bill to appropriate five or ten thousand dollars for her benefit, I should be laughed at, and my bill would not get five votes in this House. There are thousands of widows in the country just such as the one I have spoken of, but we never hear of any of these large debts to them. Sir, this is no debt. The government did not owe it to the deceased when he was alive; it could not contract it after he died. I do not wish to be rude, but I must be plain. Every man in this House knows it is not a debt. We cannot, without the grossest corruption, appropriate this money as the payment of a debt. We have not the semblance of authority to appropriate it as a charity. Mr. Speaker, I have said we have the right to give as much of our own money as we please. I am the poorest man on this floor. I cannot vote for this bill, but I will give one week's pay to the object, and if every member of Congress will do the same, it will amount to more than the bill asks." "Several years ago I was one evening standing on the steps of the Capitol with some other members of Congress, when our attention was attracted by a great light over in Georgetown. It was evidently a large fire. We jumped into a hack and drove over as fast as we could. When we got there, I went to work, and I never worked as hard in my life as I did there for several hours. But, in spite of all that could be done, many houses were burned and many families made houseless, and, besides, some of them had lost all but the clothes they had on. The weather was very cold, and when I saw so many women and children suffering, I felt that something ought to be done for them, and everybody else seemed to feel the same way. "The next morning a bill was introduced appropriating $20,000 for their relief. We put aside all other business and rushed it through as soon as it could be done. I said everybody felt as I did. That was not quite so; for, though they perhaps sympathized as deeply with the sufferers as I did, there were a few of the members who did not think we had the right to indulge our sympathy or excite our charity at the expense of anybody but ourselves. They opposed the bill, and upon its passage demanded the yeas and nays. There were not enough of them to sustain the call, but many of us wanted our names to appear in favor of what we considered a praiseworthy measure, and we voted with them to sustain it. So the yeas and nays were recorded, and my name appeared on the journals in favor of the bill. "The next summer, when it began to be time to think about the election, I concluded I would take a scout around among the boys of my district. I had no opposition there, but, as the election was some time off, I did not know what might turn up, and I thought it was best to let the boys know that I had not forgot them, and that going to Congress had not made me too proud to go to see them. "This was a sockdolager [a knock down blow -ed.] .... I begged him to tell me what was the matter. "'It is not the amount, Colonel, that I complain of; it is the principle. In the first place, the government ought to have in the Treasury no more than enough for its legitimate purposes. But that has nothing to do with the question. The power of collecting and disbursing money at pleasure is the most dangerous power that can be entrusted to man, particularly under our system of collecting revenue by a tariff, which reaches every man in the country, no matter how poor he may be, and the poorer he is the more he pays in proportion to his means. What is worse, it presses upon him without his knowledge where the weight centers, for there is not a man in the United States who can ever guess how much he pays to the government. So you see, that while you are contributing to relieve one, you are drawing it from thousands who are even worse off than he. If you had the right to give anything, the amount was simply a matter of discretion with you, and you had as much right to give $20,000,000 as $20,000. If you have the right to give to one, you have the right to give to all; and, as the Constitution neither defines charity nor stipulates the amount, you are at liberty to give to any and everything which you may believe, or profess to believe, is a charity, and to any amount you may think proper. You will very easily perceive what a wide door this would open for fraud and corruption and favoritism, on the one hand, and for robbing the people on the other. No, Colonel, Congress has no right to give charity. Individual members may give as much of their own money as they please, but they have no right to touch a dollar of the public money for that purpose. If twice as many houses had been burned in this county as in Georgetown, neither you nor any other member of Congress would have thought of appropriating a dollar for our relief. There are about two hundred and forty members of Congress. If they had shown their sympathy for the sufferers by contributing each one week's pay, it would have made over $13,000. There are plenty of wealthy men in and around Washington who could have given $20,000 without depriving themselves of even a luxury of life. The congressmen chose to keep their own money, which, if reports be true, some of them spend not very creditably; and the people about Washington, no doubt, applauded you for relieving them from the necessity of giving by giving what was not yours to give. The people have delegated to Congress, by the Constitution, the power to do certain things. To do these, it is authorized to collect and pay moneys, and for nothing else. Everything beyond this is usurpation, and a violation of the Constitution.'" "I have given you," continued Crockett, "an imperfect account of what he said. Long before he was through, I was convinced that I had done wrong. "It was one of the luckiest hits of my life that I met him. He mingled but little with the public, but was widely known for his remarkable intelligence and incorruptible integrity, and for a heart brimful and running over with kindness and benevolence, which showed themselves not only in words but in acts. He was the oracle of the whole country around him, and his fame had extended far beyond the circle of his immediate acquaintance. Though I had never met him before, I had heard much of him, and but for this meeting it is very likely I should have had opposition, and had been beaten. One thing is very certain, no man could now stand up in that district under such a vote. "I have told you Mr. Bunce converted me politically. He came nearer converting me religiously than I had ever been before. He did not make a very good Christian of me, as you know; but he has wrought upon my mind a conviction of the truth of Christianity, and upon my feelings a reverence for its purifying and elevating power such as I had never felt before. "I have known and seen much of him since, for I respect him -- no, that is not the word -- I reverence and love him more than any living man, and I go to see him two or three times every year; and I will tell you, sir, if every one who professes to be a Christian lived and acted and enjoyed it as he does, the religion of Christ would take the word by storm. "I am not much given to tears, but I was taken with a choking then and felt some big drops rolling down my cheeks. And I tell you now that the remembrance of those few words spoken by such a man, and the honest, hearty shout they produced, is worth more to me than all the honors I have received and all the reputation I have ever made, or ever shall make, as a member of Congress. "Now, sir," concluded Crockett, "you know why I made that speech yesterday. I have had several thousand copies of it printed, and was directing them to my constituents when you came in. "There is one thing now to which I will call your attention. You remember that I proposed to give a week's pay. There are in that House many very wealthy men -- men who think nothing of spending a week's pay, or a dozen of them, for a dinner or a wine party when they have something to accomplish by it. Some of those same men made beautiful speeches upon the great debt of gratitude which the country owed the deceased -- a debt which could not be paid by money -- and the insignificance and worthlessness of money, particularly so insignificant a sum as $10,000, when weighed against the honor of the nation. Yet not one of them responded to my proposition. Money with them is nothing but trash when it is to come out of the people. But it is the one great thing for which most of them are striving, and many of them sacrifice honor, integrity, and justice to obtain it." For a .JPG file (5K) of a David Crockett portrait send e-mail to Steve Greenhow at magbo@ix.netcom.com with "Crockett image" in the subject field. Also available as .GIF. Please specify format. Also see a discussion between Steve Greenhow and Jon Roland on the authenticity of the above quote. Also see the debate on the authenticity of the speech, and this assessment of Ann Toplovich on its authenticity.